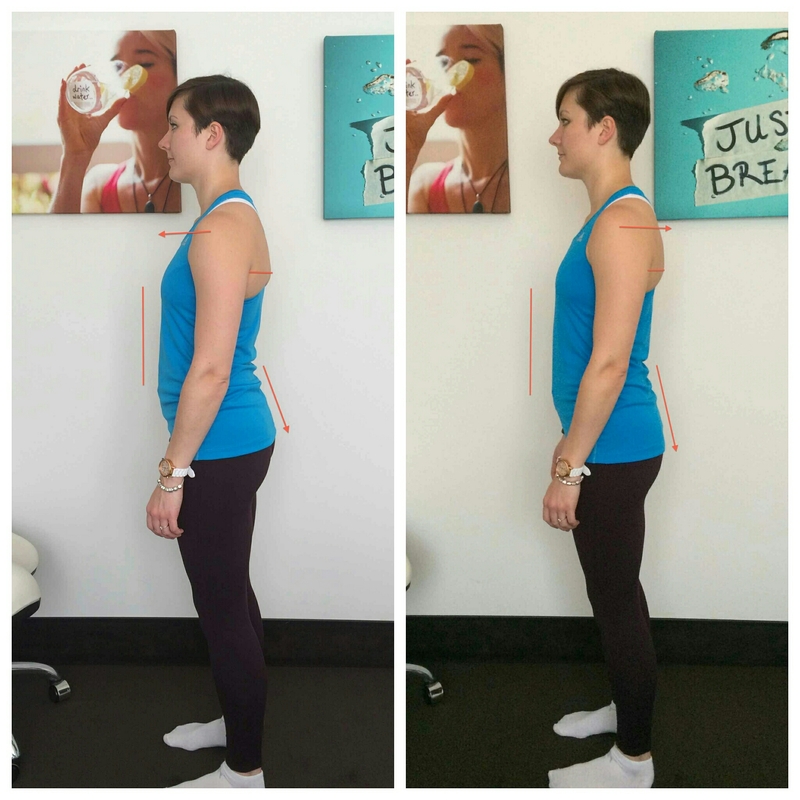 Would you believe me if I told you that this postural transformation was the result of just a single 90 minute appointment? Posture is something that has been a fascination of mine for a while. Working, as I do, in an office environment for the majority of each day, and then spending most of our remaining waking hours sitting (watching the tv, eating, reading etc.) has given many of us postural problems that are wreaking havoc on our bodies… with our backs taking the brunt. According to a study for Kings College London, between 49 and 80% of adults in the UK will experience back pain at some point in their lives, with an annual prevalence of 3.5million per year. Not only is posture accountable for an overwhelming number of cases of back pain, but it, along with poor breathing technique could also be having a negative impact on sporting performance. Now, while I have a good idea of postural issues from my second job doing sports massage, my own posture is particularly bad from a combination of carrying a heavy handbag, desk work, biomechanical issues, and more. So when I was invited to try out the Caroline Kremer Method in London I jumped (albeit slightly wonkily) at the chance. I visited Caroline at her clinic in Mayfair where she sees her clients, including GB Athletes and Triathletes such as Emelia Gorecka and Stuart Hayes. Gorecka credits the method for knocking nearly 30 seconds off her 5k track PB, and Hayes saw a 15 second PB over a 10 mile cycle time trial. After an explanation of her technique and a fascinating tour of the fascia that surrounds our muscles, Caroline went through an examination of my posture and mobility. 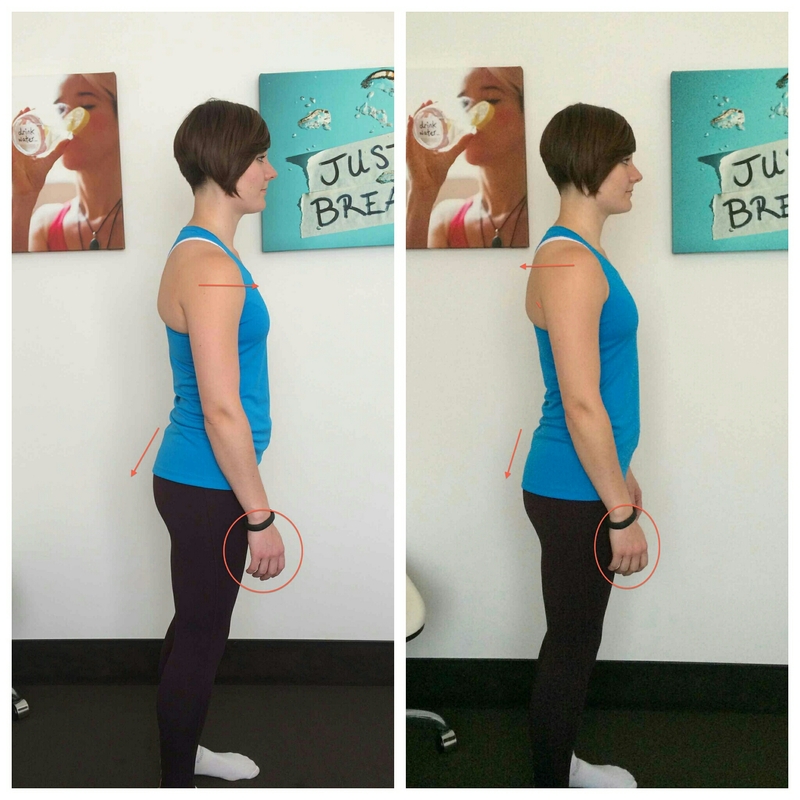 She highlighted several points of concern that could help explain my history of running injuries and lack of mobility in Olympic lifting and took photos so that we could compare my before posture with how I looked after the treatment. 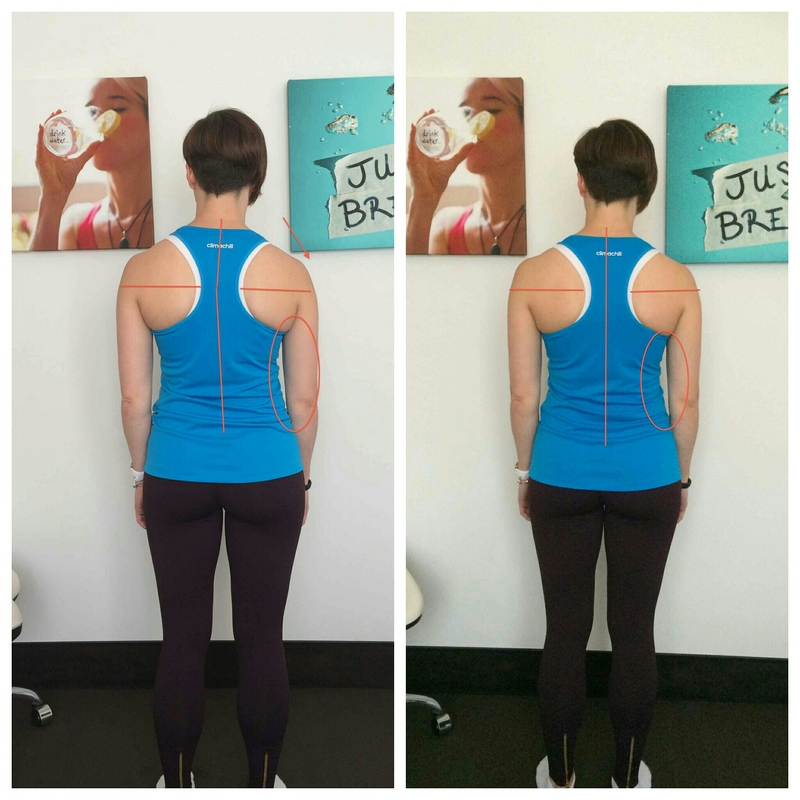 The manual therapy portion of the Caroline Kremer Method is based on the Bowen Technique, a gentle series of moves that roll the superficial fascia over deeper fascia at specific points on the body. The moves activate neural pathways, triggering a response in the body to kick-start the natural repair process and release tension in the soft tissue. This allows free movement within the joints and releases pressure on nerves. Between each set of moves Caroline would leave rest breaks. These breaks allow the body to respond without using the immediate-response sympathetic nervous system and instead by stimulating the parasympathetic nervous system, activating a “rest and digest” state. This is where our repair mechanisms are most active. After a period of time spent utterly relaxed and falling asleep (read drooling) on the couch it was time to go through the breathing techniques that Caroline has developed and that compliment the manual therapy so well. With the focus on the outward breath, the technique involves emptying the lungs fully with a strong, slow and consistent “S” sound. In daily life we rarely breathe to full capacity, but also rarely empty our lungs completely, so this part can feel slightly odd – even when I thought I had no more breath left in me I could still carry on breathing out for a moment longer. The following inward breath is left to happen naturally, starting in the abdomen and then moving upwards through the ribcage towards the throat. The breath felt refreshing and full. Between breathing patterns a minimum gap of 90 seconds is given, allowing the body to settle and return to natural breathing. During this period, the body is awoken to “proper” breathing and I found my chest rising more than usual, and my breath slowing as each inhalation allowed more air into my lungs. I finished near the top of the board after the Caroline Kremer Method! After the breathing patterns Caroline asked me how I felt. I can honestly say I felt lifted. My body felt fully relaxed for the first time in ages, and I felt lighter without any tension. But the photos are the biggest testament to what the Caroline Kremer Method can do. For the changes to hold, and to improve more, a session plan of 4 treatments is recommended. 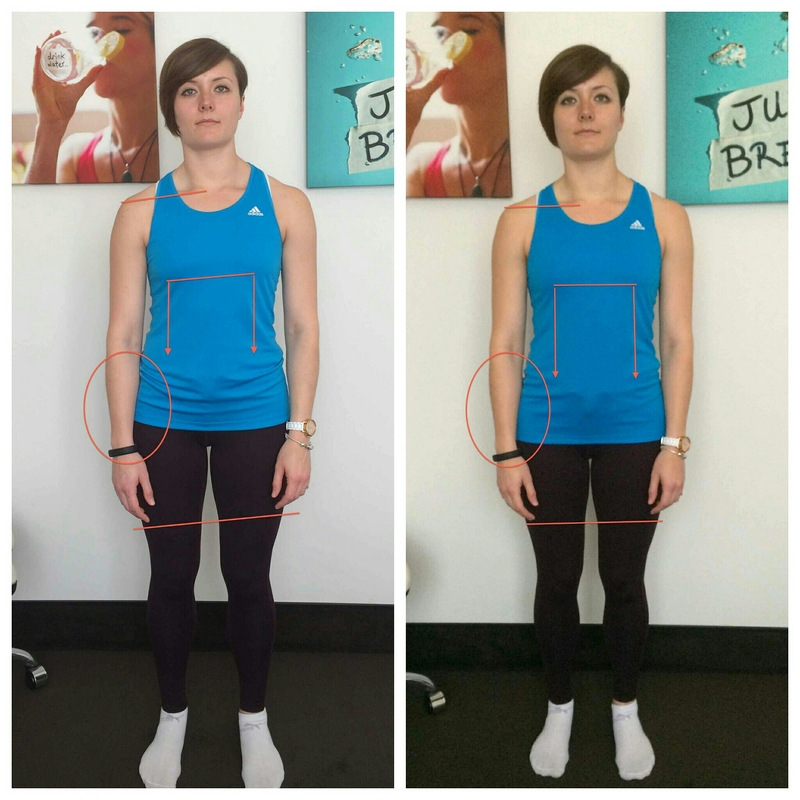 During this time, the body is given enough stimuli to continue to reset itself to the correct posture. This may not be symmetry, with injuries, age, wear and tear etc. we may never be symmetrical, but the aim is to give the body an optimum. The morning after visiting Caroline I attended my usual morning CrossFit class – I felt fantastic! 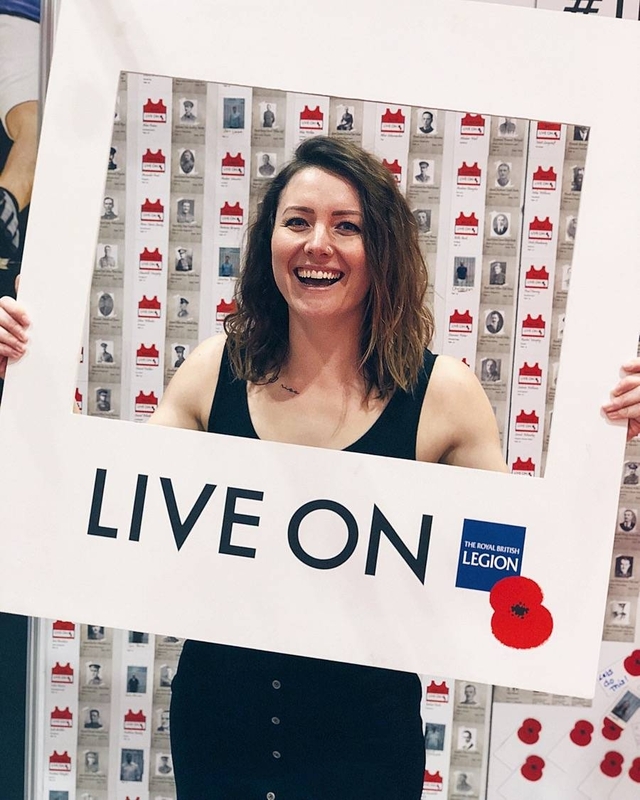 I powered through the WOD, feeling more energised and coping with the high intensity work more efficiently than I ever feel I have done. Speed and power aren’t really my strong points as I’m more of an endurance bod, but I finished near the top of the board after the Caroline Kremer Method! Initial appointments last around 90 minutes, and are usually £150 but Caroline has very kindly offered Fitcetera readers a 33% discount on a first appointment with her at her Mayfair clinic. Simply quote “FITCETERA” when booking. 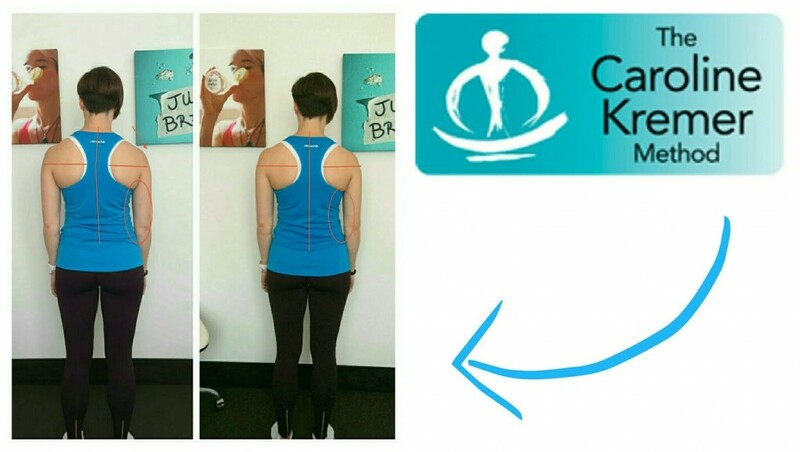 You can book an appointment, and find out more about Caroline and the Caroline Kremer Method here.